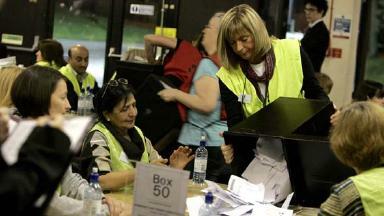 Tories won the most seats but have been forced into opposition after rival parties formed a pact. 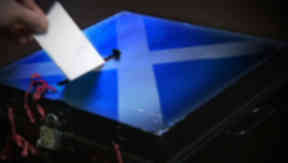 A deal has been struck to run Scottish Borders Council. The alliance is made up of Independent, SNP and Liberal Democrats, but excludes the Tories, who won the most seats. Following the election on May 3, the Conservatives won ten seats, the SNP nine, Independents nine, and the Liberal Democrats six. Independent councillor David Parker, who has led the council for the past nine years, will continue in that post, and Liberal Democrat Graham Garvie will be the new convener. Two Borders Party councillors, Nicholas Watson and Sandy Aitchison, said this morning they would join the administration as independents. Councillor Watson said: "Sandy and I are delighted to be joining the administration as part of the independent group. The Borders Party was established to revive the independent tradition of local politics in our area, and this development reflects the progress we have made. We will now work with our colleagues to run an efficient, effective council". Councillor John Mitchell of the SNP group will be deputy council leader with responsibility for finance. He said: "We are pleased to be part of the new administration that will run Scottish Borders Council for the next five years. The SNP Group is committed to working hard with our administration partners for the good of the Scottish Borders. We look forward to the implementation of SNP policies including widening the democratic accountability of Scottish Borders Council." Speaking on behalf of the Independent members, councillor Michael Cook said: "We are pleased once again to be part of the administration of Scottish Borders Council and it is a mark of our success that David Parker is to lead the Council for an historic third term. "I am also pleased that Nicholas Watson and Sandy Aitchison have agreed to become Independents and that nine Independents will now contribute to the work of the new Administration." Liberal Democrat Deputy Group Leader, Catriona Bhatia added: "Liberal Democrats made a significant contribution to the last council and will do so again as part of the new Administration. What is important to us is ensuring that our policy programme is at the heart of the new Administration's thinking." The new council administration will take office next Thursday.